Where to find the City of Lights in the City of Angels. Paris has been on our minds a lot recently. Maybe it was of all the Olympics talk last year, or maybe we've been reading a little too much James Baldwin. Now, LA isn't Paris, obviously. Nor is Paris LA. But how do we scratch our itch without buying a $1,000 plane ticket? Can you find a ghost of the City of Lights in the City of Angels? Yes. We've cooked up a taste of Paris for you, served right here in LA. If you saw nothing more than this antique shop's facade along Melrose Alley, you'd be certain you were in Paris: weathered stone columns, London plane trees, and a quintessential green-and-blue enamel Parisian street sign marking the entrance. Once inside, La Maison reveals itself as a finely curated collection of French antiques—each item containing its own fantasy, its own escape. And while you're in the neighborhood, cross over to Melrose Place proper. The entire block feels impossibly chic, and may as well be tucked into Paris's tony 16th arrondissement, or the genteel 7th. 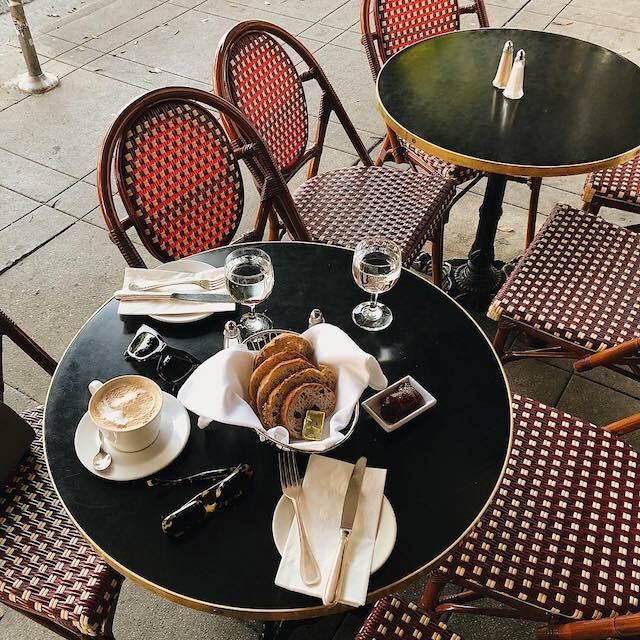 Grab an espresso and croissant at Alfred Coffee, stroll over to The Apartment, browse the selections at Isabel Marant and Balmain, or just sit along the street and watch the beautiful people pass by. Oil baron Edward Dohney's Tudor Revival-style mansion is not in itself Parisian, but the property's almost 18 acres of gardens sure feel like it. 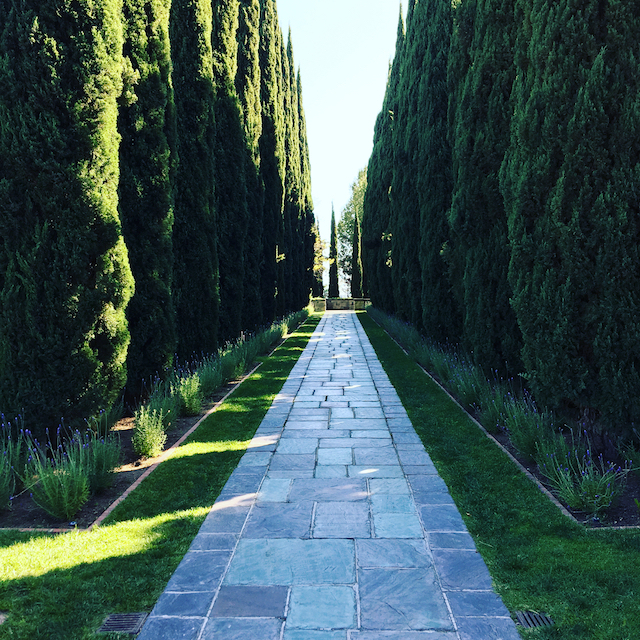 The rows of Cypress trees along the stone terrace, the elegant pools and fountains, the manicured bushes of rose and lavender—are you in Beverly Hills or the Jardin des Tuileries? Does it matter? There are few things more Parisian than cafe culture. And though Los Angeles may have some of the best coffee on planet earth, its cafe culture is far less robust. An Angeleno is more likely to be found in the cafe alone, hunched over a laptop, than sitting with friends, cigarette and wine glass in hand, arguing the merits of the workers' strike de jour. And yet, if you were heading down Vermont Avenue through Los Feliz, the calming clink of forks and plates and glasses among the rumble of al fresco diners enjoying a croque monsieur might convince you otherwise. Figaro Bistrot is where to head if you're looking for some joie de vivre in the comfort of a rattan bistro chair. If you're in the mood for steak frites and a glass of kir, this is the place for you. Cafe Stella is a dimly lit haven for your Parisian fantasies, where la vie bohéme gets an update replete with Silver Lake's finest. 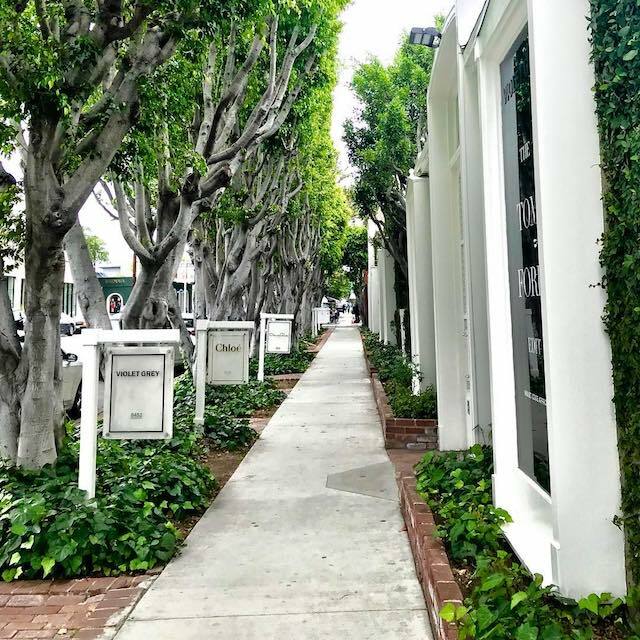 The motor-court entrance of this Beverly Hills landmark is not the Place Vendôme, but the cobblestoned street, grand architecture, and awning-framed shop windows may as well be. No trip along the Champs Élysées (no trip to Paris, really) would be complete without a stop at the Mecca of macarons, Ladurée. 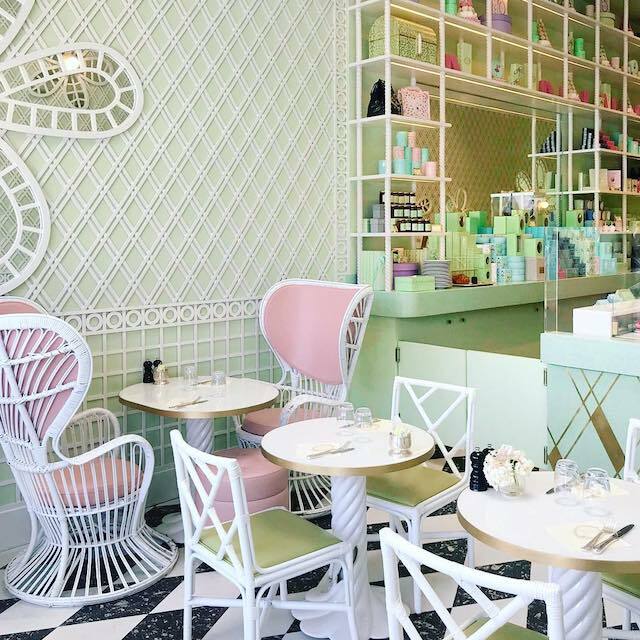 Los Angeles got something of a Christmas gift in late 2016 when Ladurée opened first at The Grove, then barely a month later in Beverly Hills. It's this second location, designed by the inimitable India Mahdavi, that will transport you right back to the world's most famous patisserie. Grab a table, order tea and some macarons, and let the whimsy consume you. Leclaireur's only non-Paris location still looks like it's in Paris (see: pale stone facade, rustication, pointed pediment, ironwork). 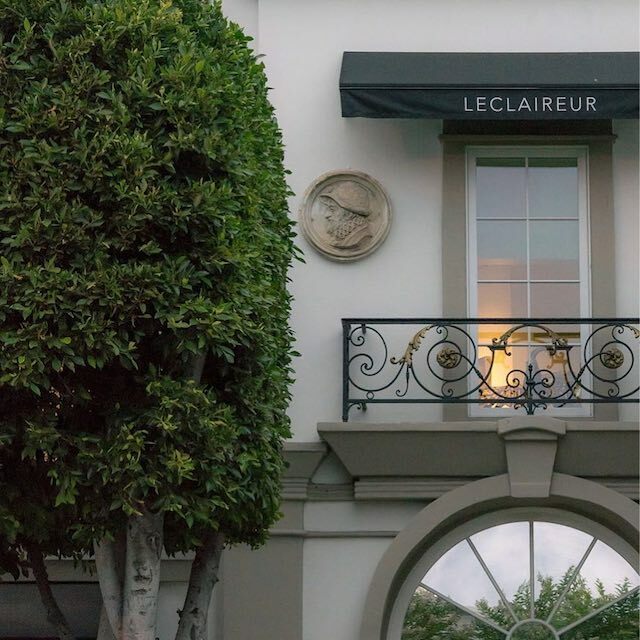 What's more, Leclaireur's signature blend of art, design, and events is in full effect at their US flagship. 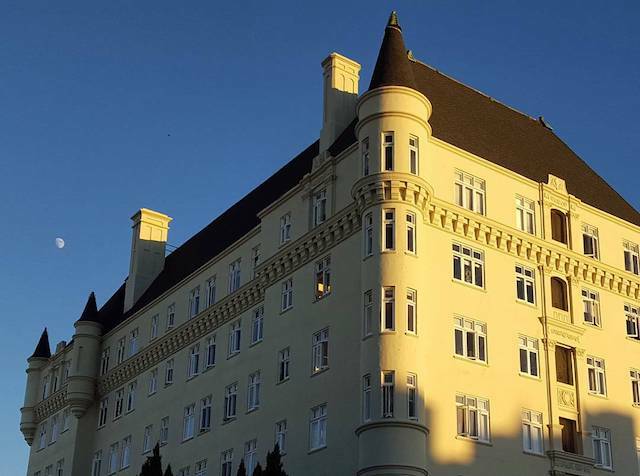 Architect Leland Bryant built the gorgeous St. Germaine apartments in 1929 during a streak that included the Sunset and Granville towers in West Hollywood. 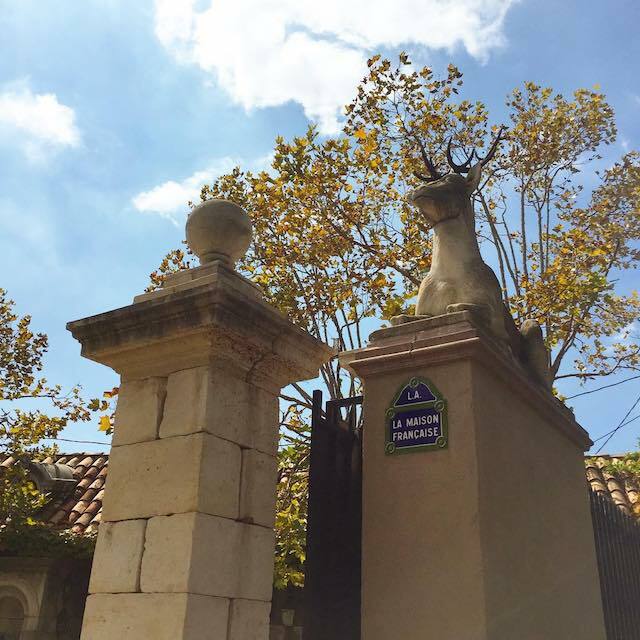 It has been years since a unit at St. Germaine was up for rent, but simply walking past this chateau is enough to affect you. Paris-native Sofian Ketfi traveled the world as a wine dealer and ultimately settled in Los Angeles. 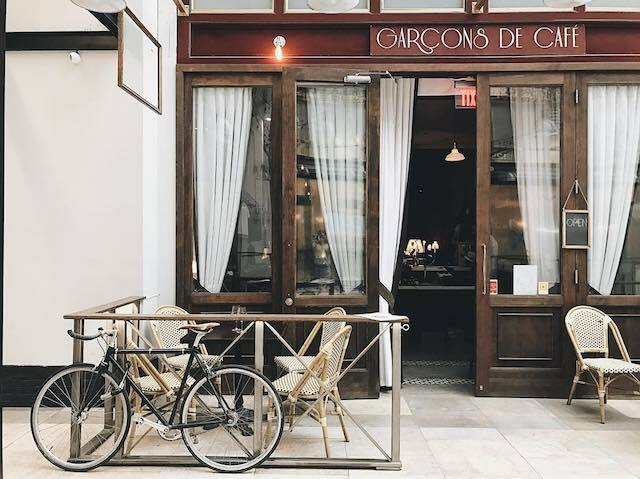 With the opening of Garçons de Cafe, Ketfi brings his Parisian roots to Downtown. Sip on a Beaujolais while you nibble on a cheese plate and listen to a live performance of gypsy jazz. Local historical site and park. Figaro is a 1930's-style bistrot in LA, full-service breakfast, lunch, and dinner restaurant, lounge and patio, full bar and bakery retail. This concept store is presented as an apartment where everything is for sale. Well, an apartment in which everything (from the Fferrone Design wine glasses in the kitchen, to the living room sofa by Las Venus, to the collection of oils by Coqui Coqui in the bathroom) is so beautiful and perfectly laid out it feels like you’ve stepped into an Architectural Digest spread IRL. Forewarning: once you’ve seen this apartment, it’ll be hard to go back to your own. Classic French bistro fare served on a romantic patio or in a warm dining room with brick walls. 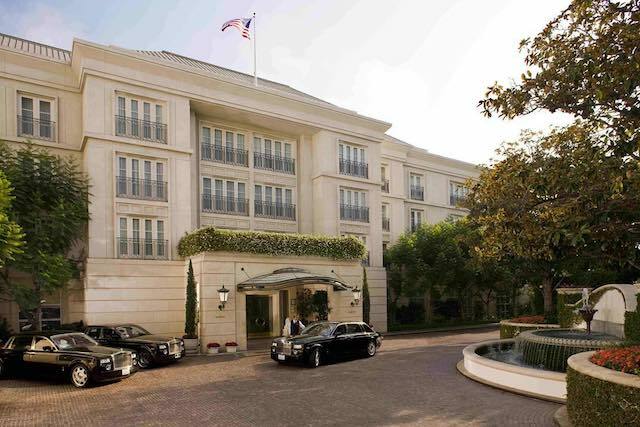 Luxe property with posh quarters, a spa & rooftop dining, plus a chic lounge serving afternoon tea. 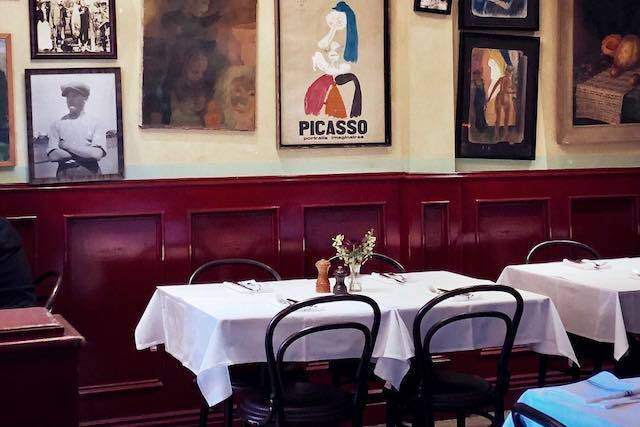 The fact that Garcons de Cafe is hidden from the street inside the Spring Street Arcade may actually be more to its (and your) benefit than not. Delicious French wines, charcuterie, and live music await in this intimate space. Let these garcons introduce you to your new favorite bottle over a perfect date, catch-up with friends or even just an after-work drink. Santé!